I live in an old brick house in a city with clay soil. When we have a really dry summer the soil dries out and shrinks and everything shifts. Then, when we get enough rain, the soil expands and everything shifts again. If you go to older parts of town, few houses are straight. In my house these soil changes cause my back door starts to stick, or for the frame to become so lose that it barely latches. I used to fuss around with shims to make this better, but it was a big pain and meant taking all of it apart. Bring in shim screws. 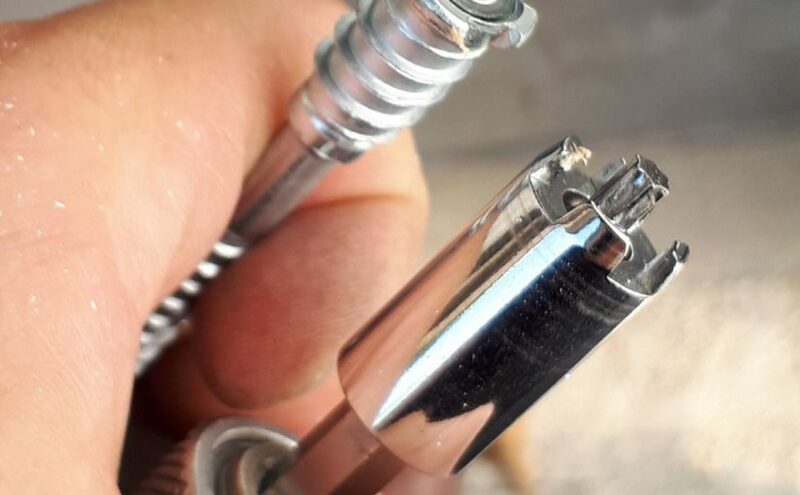 They are a screw with a second screw that spins loosely as a sleeve around the head of the screw. 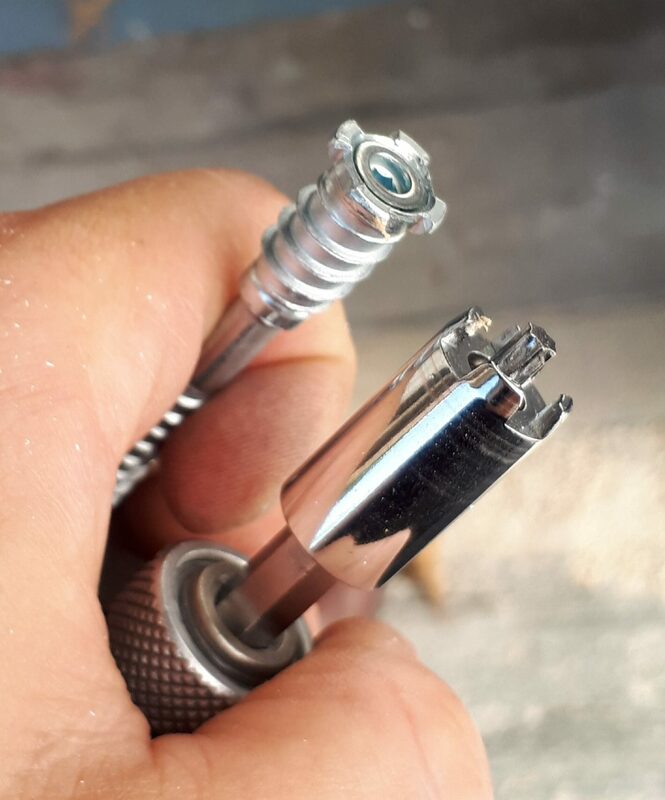 You use a special crown drive bit to drive both the screw and the sleeve into your door jamb. The sleeve only penetrates as far as the jamb, while the screw itself drives into the wall/framing behind. Then you take off the crown bit and adjust only the center of the screw in or out from the frame. Because the sleve spins but can’t slide up or down the screw, the jamb moves with the centre screw. If the explanation doesn’t quite make sense, there are a bunch of videos online that show it, just google GRK shim screw. In the case of my back door these gadgets mean that I can now adjust my door in about 2 minutes with one tool, rather than an hour or so with half my toolbox. Like!